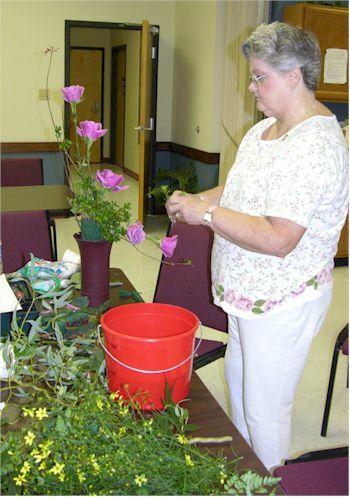 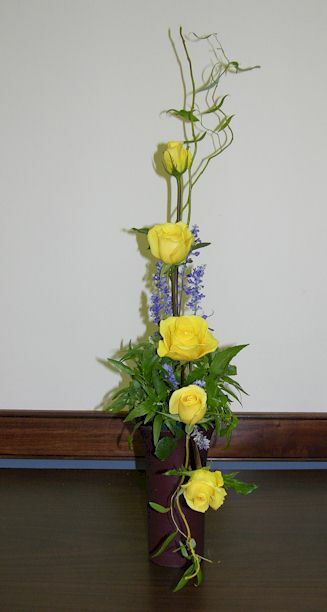 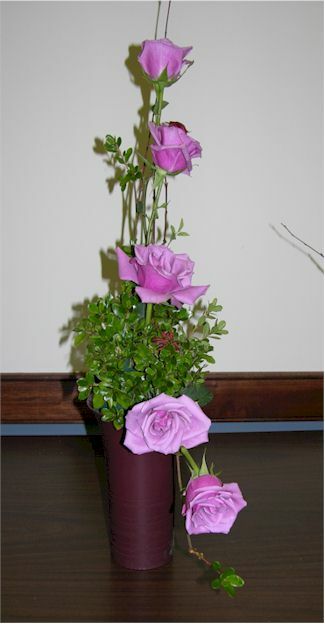 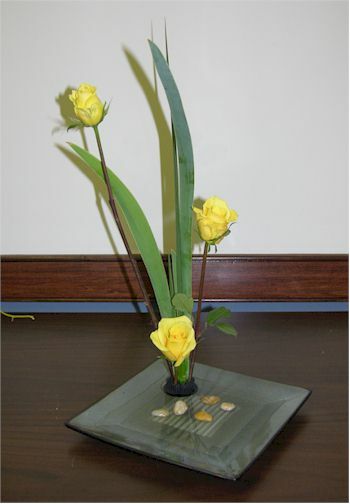 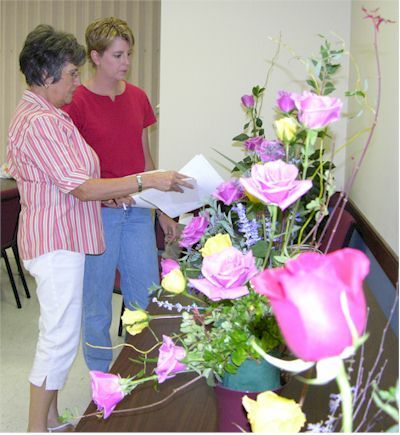 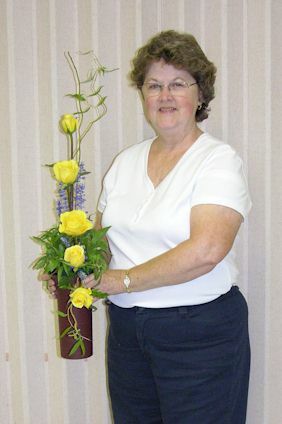 An Arrangement Workshop was held August 13, 2005, for members wanting to learn more about creating arrangements for rose show competitions. 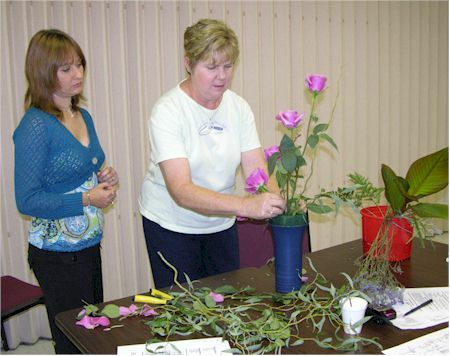 Rose Arranging Basics, Design Considerations, Rose Design Categories, and Scoring were explained along with hands-on instruction. 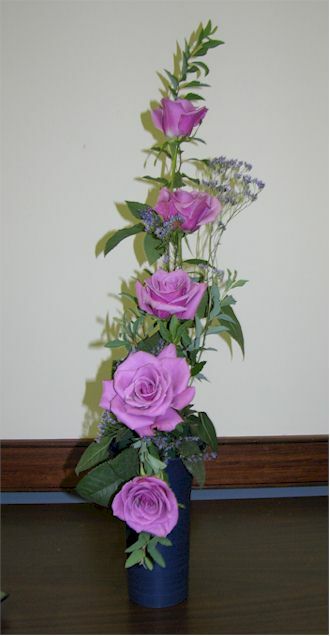 Each participant created an arrangement which was then displayed and critiqued. 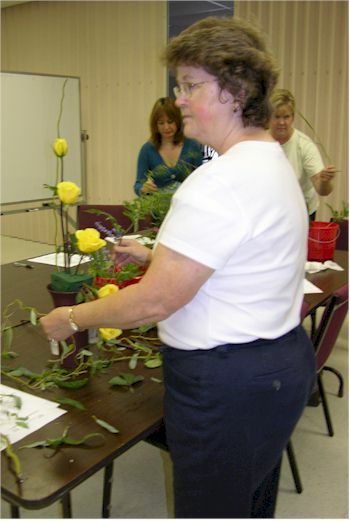 Sam Jones from the Nashville Rose Society was the presenter assisted by Nancy Jones and Connie and Larry Baird. 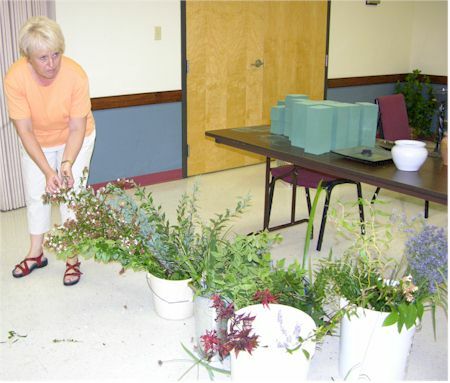 What can perk us up from the doldrums of the long hot days of summer and Japanese beetles? 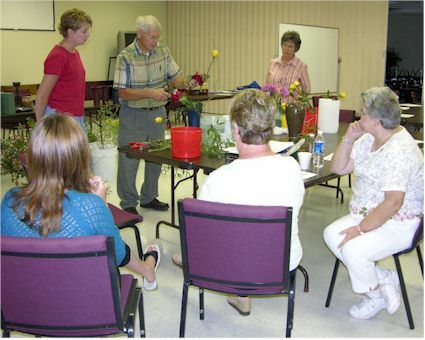 An arrangement workshop, of course. 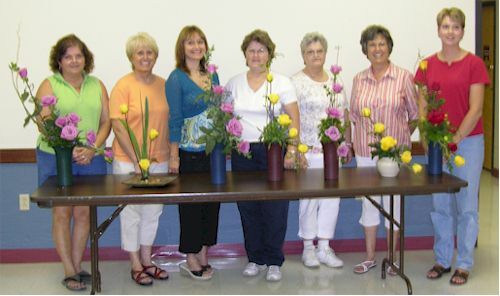 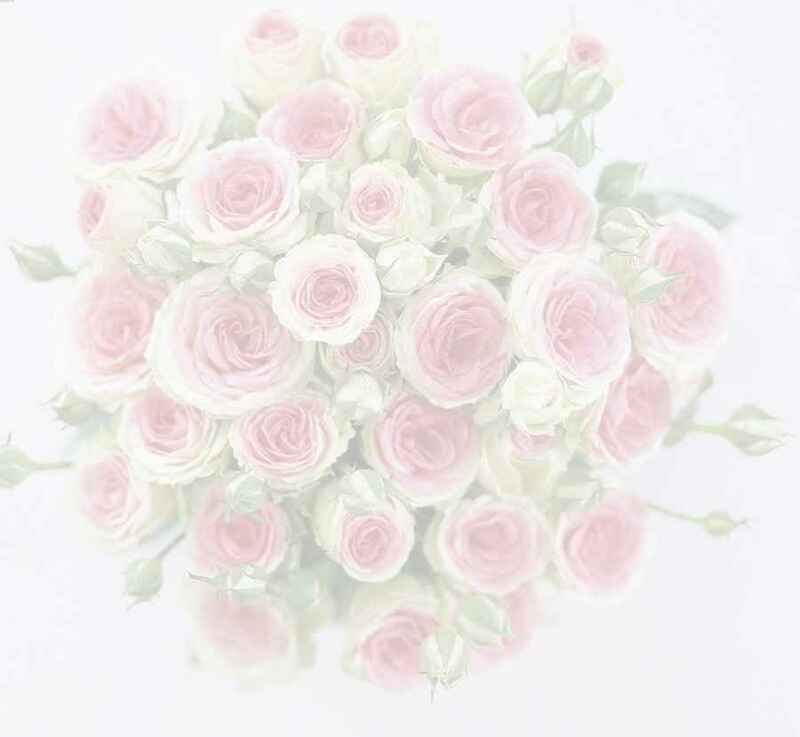 We now have seven "budding" arrangers in our rose society. 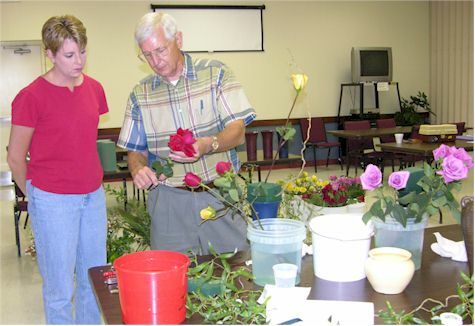 Our sincere gratitude to Sam and Nancy Jones and Connie and Larry Baird from the Nashville Rose Society for an excellent presentation. 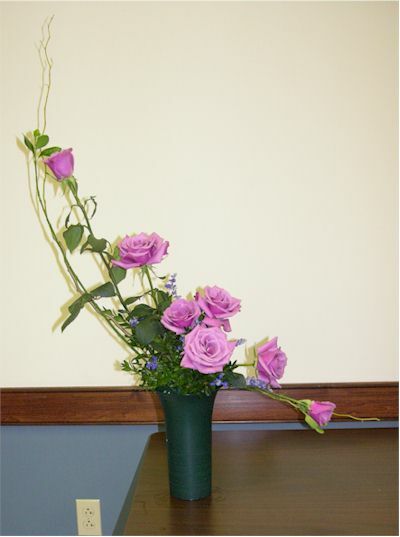 We gained hands-on experience and went home with a beautiful arrangement. 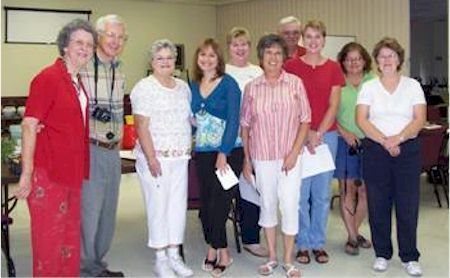 Thanks to all of our participants. 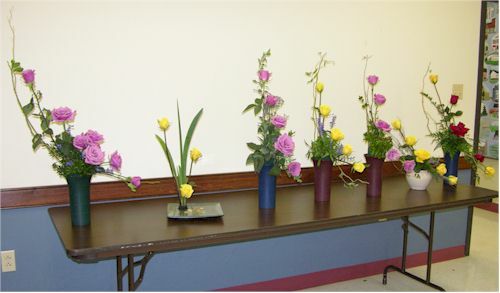 Everyone did a great job!